bibliography: the citation and the annotation. instructions for the assignment, and the guidelines in the appropriate documentation handbook. English Education 23.4 (1991): 195-211. Print. describe your reaction (credible source? value of source? analytical/emotional reaction? assignment as your professor may dictate a word count or length for each annotation. 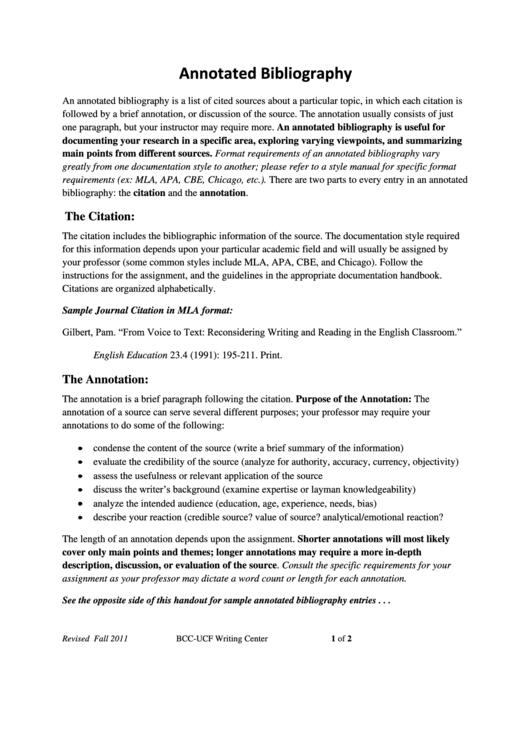 See the opposite side of this handout for sample annotated bibliography entries . . .